There weren’t any aspirations of being a performer growing up, but a lunchroom hobby during school became an intention when he cut a record that was supposed to be performed during his 16th birthday party alongside his cousin. Even though the party never happened, the track was released to local acclaim, much to his surprise. Once he felt the admiration and attention, Splurge became enamored. As he made more music, what immediately jumped out is the volatility of Splurge’s flow, a delivery that seems erratic, but fits perfectly over any head-splitting drums. When he raps, he doesn’t sound like anyone else and 2018 proved that fans gravitate towards him because of that. “Beat By Jeff” off his project Glockeeee became his first hit, cracking over a million plays on SoundCloud and 3 million views on YouTube. He followed that up with “Free Granny” off Glen Baby and “Intro Part 2” off his No Melody EP, collecting a total of 10 million YouTube plays and propelling the viral “WOAH” dance to every child with a computer. By the end of the summer, Splurge garnered attention and praise from press across the board, including FADER, Pitchfork, HYPEBEAST, Fashionably Early, among others. 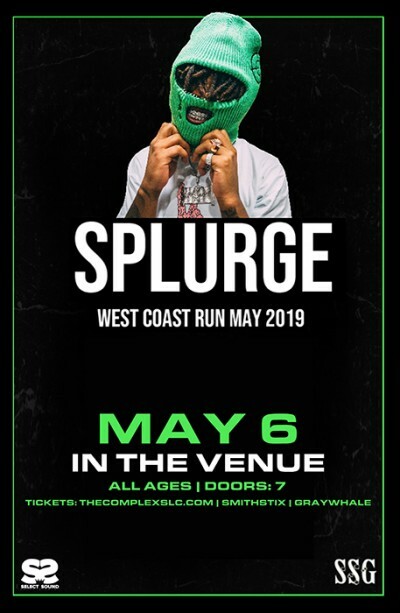 He capped off his stellar year with his new project titled SPLURGE GO!, led by buzzing single “Tear It Apart.” Alongside his music, Splurge also embarked on a 17-date European road trip supporting Lil Pump for the Harvard Dropout Tour, which sold out multiple 2,000-4,000 cap venues. Glen Baby 2 is the highly anticipated next project to drop and it is coming SOON. For a kid to have just started rapping, the ceiling for Splurge is high. He is currently working a few new projects and only wants to continue to get better. “It’s just fun to me,” he explains. “A lot of rappers force a lot of stuff but I didn’t force nothing, it just came out.” Natural born talent.